Please make sure in include your email address to receive confirmation of your reservation. 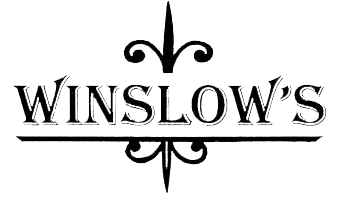 Please be aware that Winslow's is a casual, fun bar based Resturant. We cannot guarantee quiet tables for meetings or presentations within the regular restaurant. Please refer to our catering menu for private and semi-private areas available for rentals and policies. We now require a $100 deposit on parties of 20 or more people. Would you like it Catered or off the Menu?